Who doesn't love cats? And what cat doesn't have a great cat story of their heroism, even if it's only saving their owner from a spider? From honorable feline assassins to compassionate feline dreamwalkers, these cats are saving the world--at least for someone. 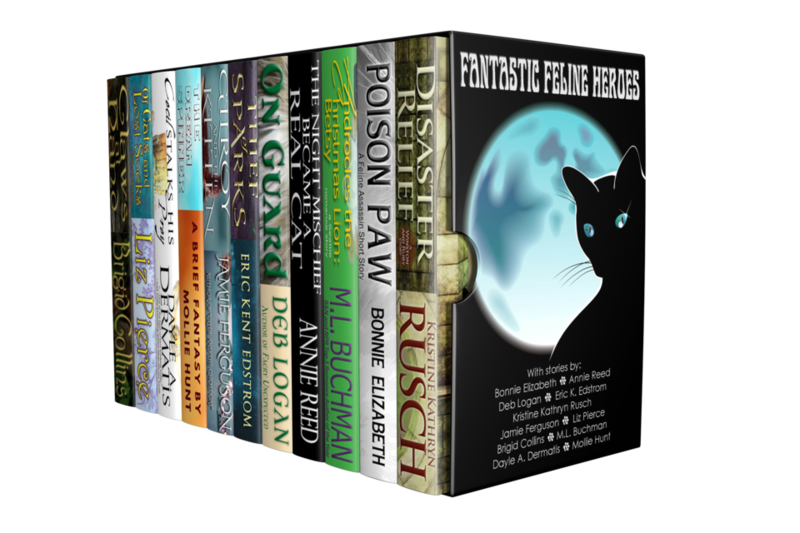 This multi-author bundle pays tribute to every cat who has ever played hero, from little things to big. In Fantastic Feline Heroes you'll find stories about loyal feline workers, cats who save the day, those who walk through dreams to save the dreamer, and many more. Fantastic Feline Heroes is a multi-genre bundle that featuring heroic felines that's perfect for the cat lover in your life, especially if that's you.